In February of 2015 I took a chance to capture this object one last time. Comet lovejoy was on one it’s brightest passes before it leaves the inner solar system for another 620 years. This being the first time I had ever tried to view, let alone photograph a comet or any other fast moving object, its not come out as well as I would have hoped. Added to the fact that I was having problems with DeepSky Stacker crashing every time I tried to stack the comet only, I never managed to get the comet as a single point or resolve the tail. 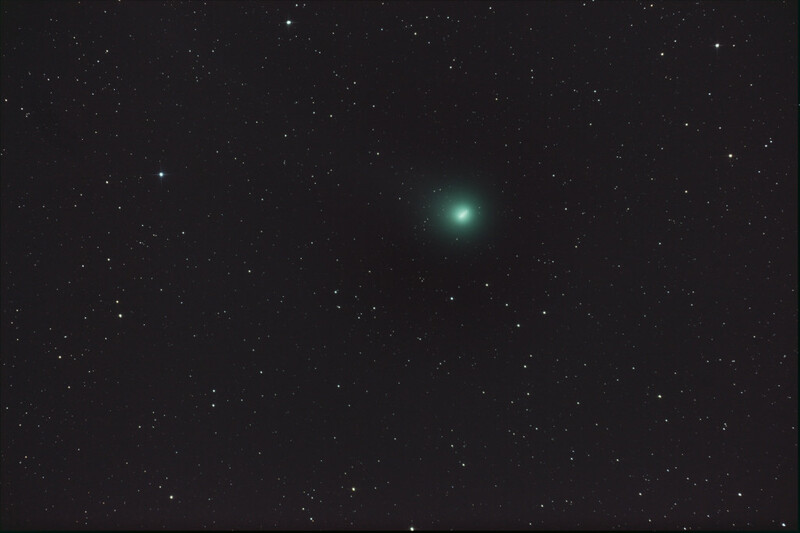 The most striking thing about this Comet and any images you would see of it, is the intense aqua green colour. It is certainly a pretty object to look at.